You may say that this bears a distinct resemblance to a very famous sporting brand, which given that it's 2012 the year of the Olympics London 2012 you would be spot on. 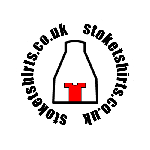 Of course it's the famous 3 oatcakes, the traditional breakfast fayre of the potteries public. There's only one thing that could improve this shirt, that's you wearing it. 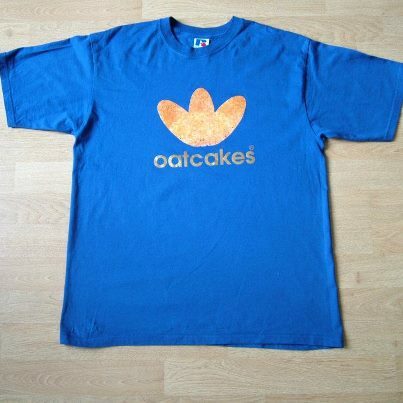 I AM STILL WAITING FOR MY 2 BLUE OATCAKE TSHIRTS TO BE DELIV ..